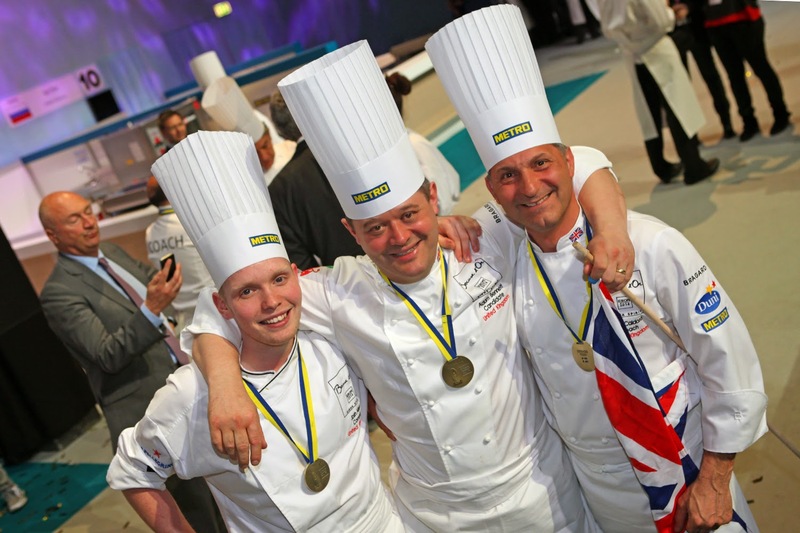 Team UK and its supporters were back in action last week when Adam, supported by new commis chef, Josh Allen, took to the Bocuse d'Or stage once again. Adam and Josh, culinary arts student at University College Birmingham and coach Idris Caldora from the Royal Academy of Culinary Arts were awarded 6th place in the Bocuse d’Or Europe which took place in Stockholm on May 8th. 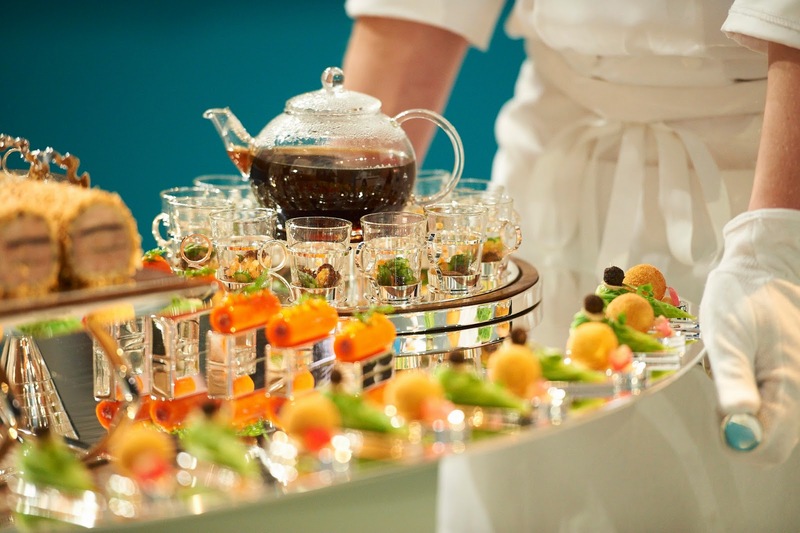 The chefs will go on to compete at the Bocuse d’Or World Final in Lyon on January 28th and 29th, 2015. Chefs from 20 countries competed over the two day competition, with the 12 top scoring teams progressing to the Bocuse d’Or World final. First place was awarded to Tommy Myllymaki from host country Sweden who won €16,000, with Kenneth Hansen from Denmark in second place winning £9,000 and Ørjan Johannessen from Norway in third place collecting €6,000. 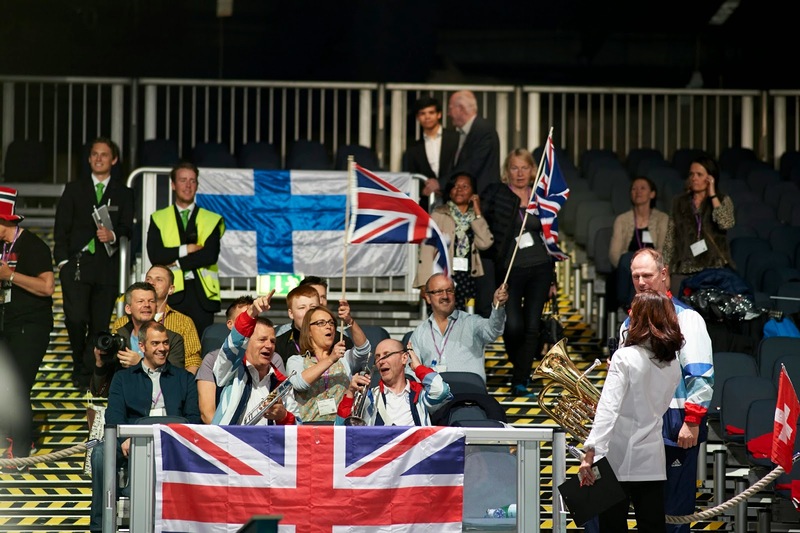 Team UK's supporters certainly made their presence felt with the help of The England Band and representatives from Compass Group, Fresh Montgomery, Nestle Professional and Vanilla Chef playing and cheering from the grandstand. Adam, supported by his then commis chef, Kristian Curtis, also secured 6th place at the European final in Brussels in March 2012. His Stockholm fish menu consisted of: Supreme of Swedish Coalfish, Seaweed Sauce, Mussel Ketchup, Coalfish with Smoked Salmon Mousseline, Saffron Potatoes filled with Creamed Leeks, Pea Puree with Baby Onions and Bacon, Cucumber with poached Oyster and Sea Pearls, Mussel Ketchup, Seaweed Butter Sauce. His meat course of Ballotine of Young Swedish Pork with Braised Trotter & Hock and Verjus Sauce was served on a silver flat. The meat menu consisted of Ballotine of young Swedish Pork with Sage, Truffle and Bacon, Braised Trotter & Hock with Vegetables, Savoy Cabbage with Bacon, Carrot filled with Ham and Mustard, Potato Croquette with Black Pudding and Bramley Apple. It was a great performance and once again it is thanks to the wonderful support of our sponsors that Adam and Josh were able to compete at such as high level. Many thanks to Aubrey Allen, Classic Fine Foods, M&J Seafood, Heritage Silverware, MSK Ingredients, Ritter Courivaud, University College Birmingham and Wellocks.